According to a recent American Psychological Association (APA) study, 57 percent of Americans say the current political climate is a significant source of stress in their lives. Three-quarters of Americans felt at least one symptom of stress in the past month, with around one-third of adults experiencing anxiety, irritability or anger, or fatigue. The holidays can add to that stress. The shift in mindset can start as early as October when we begin to navigate through various feasts and celebrations. We often overbook ourselves and set unrealistic expectations about what can be done. We feel pressured by family and friends to travel home or attend events. 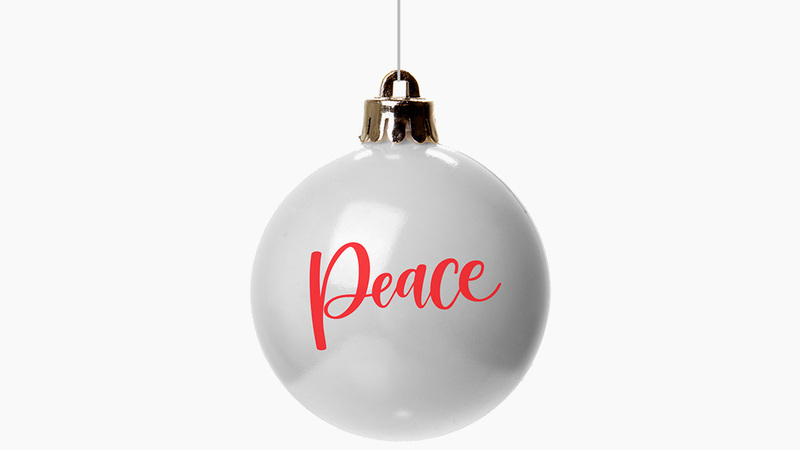 All of this can culminate into a heap of tension that ultimately impacts our emotions and depletes our time and money, which are two key stress areas during the holidays. With all these added demands, our cheery disposition can quickly shift to bah humbug. Finding peace of mind is possible if we take the right steps. Here are a couple of ways to help ease your holiday stress. Think differently. Focus on what matters most to you. Ask yourself these questions — what do you love about the holidays and what means the most to you during the holiday season? Are you passionate about family gatherings and turkey traditions, do you enjoy shopping for gifts and the act of giving, or do you want to reconnect with certain people or your faith? Know what the holidays mean to you. If they don’t feed your heart and soul, redefine how you approach each one. Place your energy into what matters the most. Plan ahead. Set realistic expectations for you and your family. Now that you’ve made decisions about where to focus your efforts during the holidays take a moment to choose what activities lead you to the greatest joys, not the highest stresses. Write down your plans, establish a budget (and stick to it), be flexible and set attainable goals. Be Aware. Understand how you feel and respond appropriately. Be mindful of your feelings. Take notice when you feel anxious or sad. Step back and determine what’s causing these shifts in mindset. If it’s in your control, remove those things that trigger the negativity. If you can’t shake the angst and continue to downward spiral, consider reaching out to your health provider, psychologist or psychiatrist and work together to simplify and find ways to balance your life.